Parks & Recreation is proud to offer a full range of Aquatic facilities and programs. 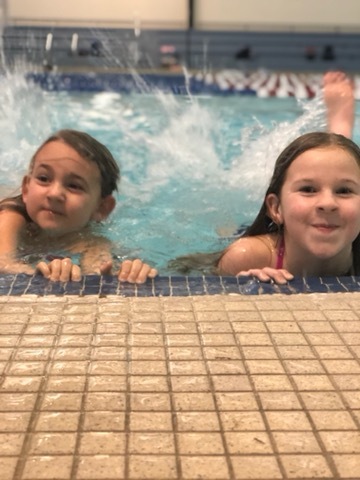 Whether it’s swim lessons, water aerobics classes, lap swimming or recreational swimming for families, we have it at Falling Springs Center! 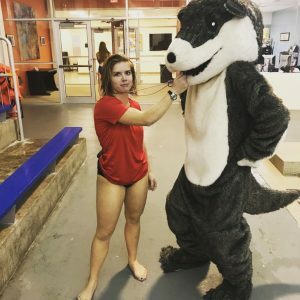 Check the bar to the left for pool hours, closings and other important updates, quick links to Water Aerobics and Lap Lane Schedules and more! 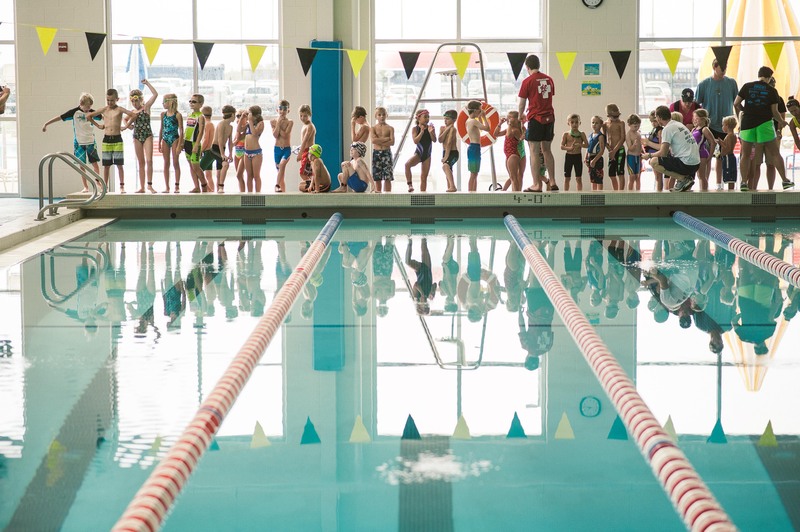 If you are looking for an Aquatics related program and don’t see it here, be sure to try the Programs tab on the navigation bar at the top of the page. 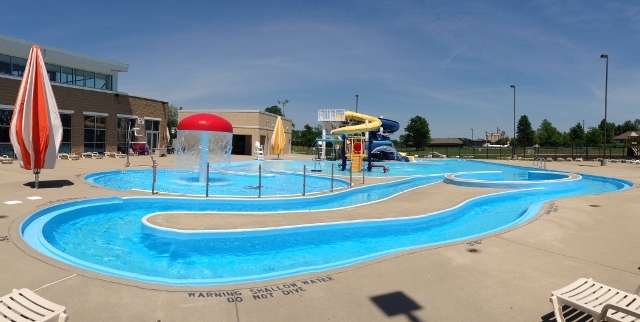 The Falling Springs aquatic facilities are supervised at all times by American Red Cross Certified Lifeguards. Men’s, women’s & family locker rooms are located on the indoor pool deck. 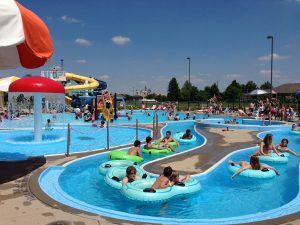 Both the indoor and outdoor pools can be rented for pool parties for birthdays, organizations, businesses, teams and more! Visit the Rentals page for details! Utilized for water therapy classes and instructor led swim lessons. Ideal for physical therapy, stretching, those with arthritis or relaxing. 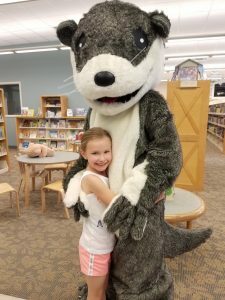 Have you met Ollie yet? If not, keep an eye out for him! Ollie the Otter is the Falling Springs Swim Academy Mascot and you never know when or where he’ll pop up! 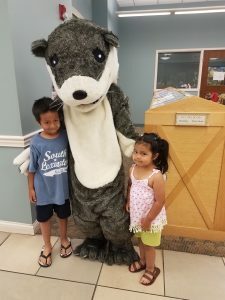 You might see him at a school, making sure kids know about water safety and how much fun swimming can be, or you you might see him pop in at swim lessons to hand out certificates and prizes to the participants! He could turn up ANYWHERE, making appearances at various activities and programs both at Falling Springs and other locations throughout the year! 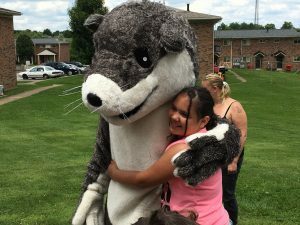 He can also attend your child’s birthday party at Falling Springs if you like! If you’d like Ollie to visit your school or book him for your pool party, please contact Tefany Bleuel at 859.873.5948. All passes and paid admission to Falling Springs Center include access to our drop in Water Fitness classes, so you’ll want to try them all! We have a variety of shallow and deep water classes as well as Arthritis Therapy & Aqua Zumba© classes! 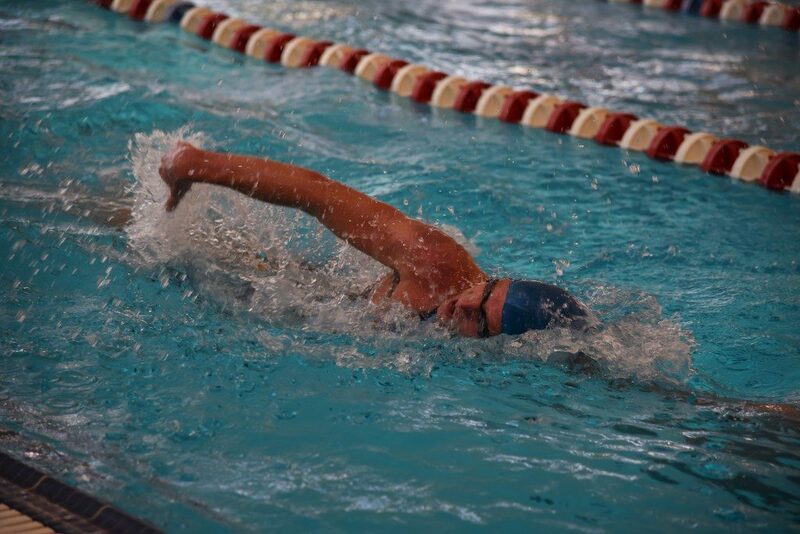 All told, we offer nearly 20 Water Fitness classes each week and they are ALL included with admission to the Center! Check the sidebar on the left or the middle box at the bottom of any page to view a Water Fitness Class Schedule or Lap Lane Schedule! Parks & Recreation offers a variety of water specific training courses and programs throughout the year, including Lifeguard Certification & ISR Swim Lessons. Please click a button below to view details. 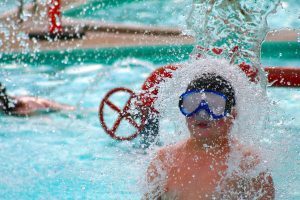 COURSE DESCRIPTION: The American Red Cross Lifeguard Certification course provides prospective lifeguards with the skills & knowledge necessary to keep patrons of aquatic facilities safe in & around the water. Participants will learn how to prevent, recognize & respond to an emergency. Course includes CPR for the Professional Rescuer & AED certification & First Aid training valid for 2 yrs. Course Fee Includes Materials, pocket mask & certification cards fees. Minimum 4 students required for a class to proceed. CHECK OUT OUR NEW “EARN BACK” PROGRAM BELOW! Swim 20 yds, surface dive, retrieve a ten pound brick from the bottom of the pool & swim back 20 yds within the allotted time. 2. Be at least 15 years of age by the end of the course. 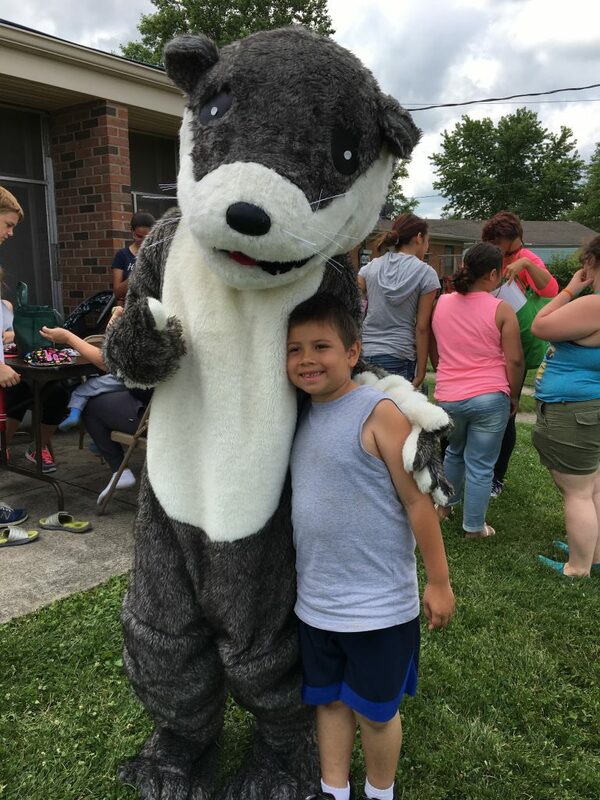 For more information, please contact Tefany Bleuel at (859) 873-5948 or by EMAIL. 2. Apply at Falling Springs, pass your interview & get hired as Lifeguard at Falling Springs Center. 3. Earn back $65 after 90 days of work with no disciplinary actions! 4. Earn back another $65 after 30 more days with no disciplinary actions! That’s a total of $130 you can earn back – that’s half of your registration fee, all for doing a great job! Contact Tefany Bleuel with questions! 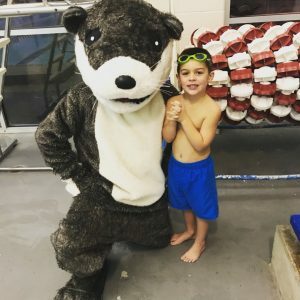 Click HERE to learn about the Falling Springs Swim Academy and view swim lessons schedules and descriptions. 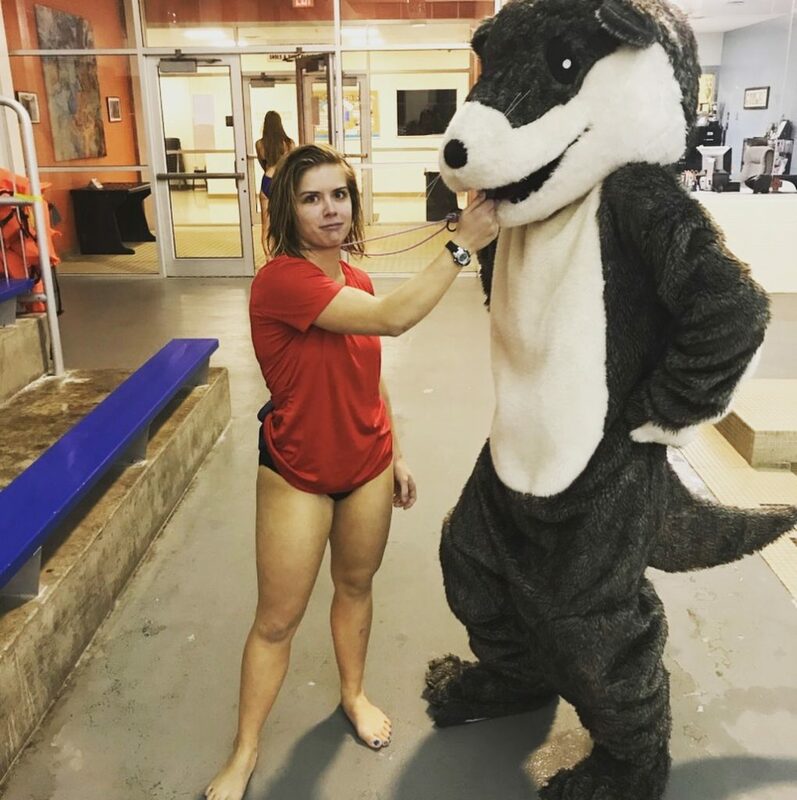 Looking for information on the Hammerheads Summer Swim Team? Click HERE! 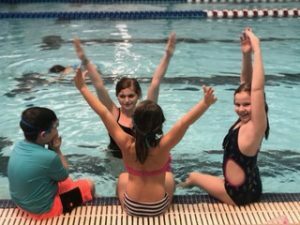 The Versailles-Woodford County Parks & Recreation Department’s Adaptive Swim Lessons Program is offered to any child or adult with special needs. The goal of this program is to provide our students with a structured aquatic experience designed to make them feel comfortable and safe while swimming. The program is designed to serve all ability levels by incorporating a “Learn-to-Swim” progression for individuals with physical, neurological, developmental and cognitive impairments. 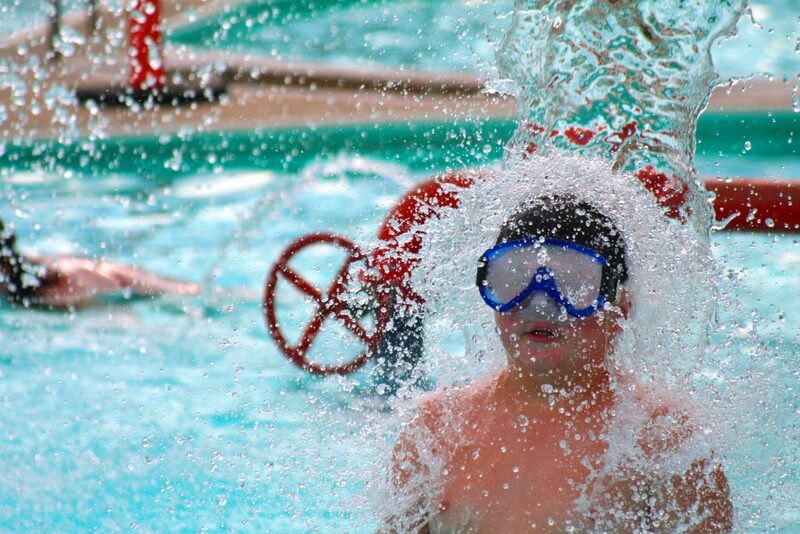 Participants are taught swim skills, water safety and independence. For details, download the Adaptive Aquatics Brochure. To get started in the Adaptive Aquatics program, please contact the Tefany Bleuel, Aquatics Manager at (859) 873-5948 and set up a time to pick up an information packet. Parks & Recreation is excited to be an official location for Infant Swimming Resource (ISR) classes! The ISR program is for children 6 months to 6 years of age. Lessons for a 6-12 month olds focus on teaching the child to roll onto his or her back to float, rest and breathe and to be able to maintain this life-saving position until help arrives. Statics indicate that 86% of children who fall into water are fully clothed. Therefore, once the children are fully skilled they will practice their ISR skills fully clothed. Lessons are every weekday for 10 minutes or less. All lessons are one child per one instructor. 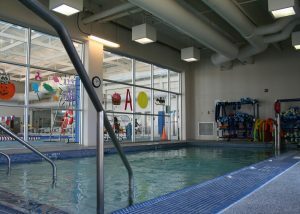 For more information visit www.infantswim.com or find search Isrchristiemcglone on Facebook. 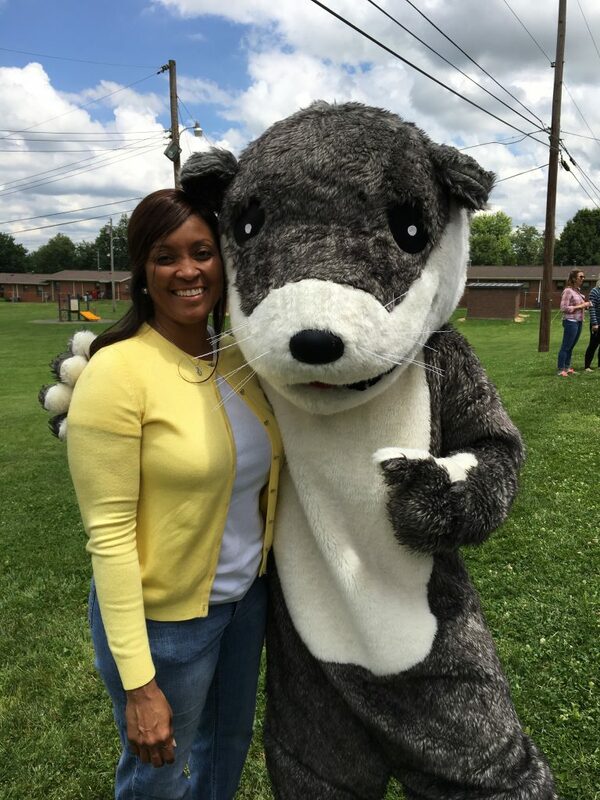 For general questions, please contact Tefany Bleuel at (859) 873-5948 or by email. You never know when an emergency will arise. Maybe it will be someone you know, maybe it’s a stranger, but when that time comes, will you know what to do? Parks & Recreation is equipped to offer a variety of Safety Courses to meet the needs of our community, including coaches, teachers, parents, babysitters businesses and more!. Contact Tefany Bleuel with questions or for more information about setting up a class! 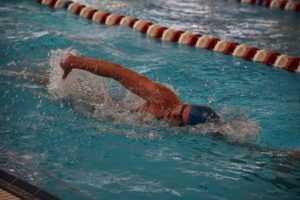 Parks & Recreation offers personal training & private lessons at Falling Springs Center, including private swim lessons, personal aquatic coaching, basketball instruction and tennis lessons. Click here for a Private Lessons Brochure. Click here for a Personal Training Brochure. To start the process of scheduling and paying for personal training sessions, please click Personal Trainer Request Form for a printable form or click HERE to complete the form online. • Admission will be refused to all persons having any contagious diseases or infections conditions (including colds, fever, ringworm, foot infections, skin lesions, carbuncles, boils, inflamed eyes, ear discharges or any other condition with the appearance of being contagious). • Persons with excessive sunburn, abrasions which have not healed, corn plasters, bunion pads, adhesive tape, rubber bandages or other bandages of any kind are not permitted. • Persons who have had diarrhea within the last 24 hours are not permitted. • A person under the influence of alcohol or exhibiting erratic behavior shall not be permitted. • No refunds due to inclement weather. • Children 4 yrs old & under must be directly supervised & within arms reach of a responsible parent or guardian at all times. or older while in the pool area. • Parents/Guardians are responsible for the actions and behaviors of their children. • Clean, proper swim wear is required – no jeans, cut-offs, street clothes (including t-shirts) or undergarments. Aqua shirts are permitted. • Water wings & other inflatable floats are prohibited. • Coast Guard approved life jackets or flotation devices are permitted. 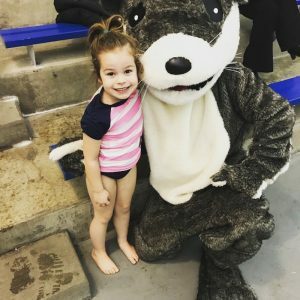 • Swim diapers or plastic pants are required for participants who are diaper dependent. • Outside food or coolers are not permitted. • Food, drink, gum, vaping or tobacco permitted in designated areas only. • Food and drink in plastics containers only. No glass containers. 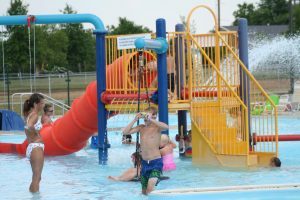 • Chairs are permitted on the outdoor pool deck only (chairs are not allowed in the water). • Inner tubes, floats & noodles are prohibited. at the discretion of management. • Follow lifeguards instruction at all times. • No running, pushing, wrestling or rough play in locker rooms, showers, pool or pool area. • Diving is permitted in designated areas only and divers must follow the rules posted near the diving boards. No diving in shallow water. 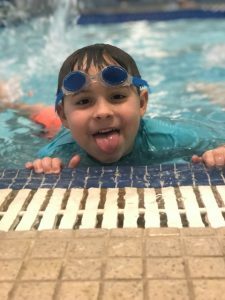 • Dive blocks are for swim teams or swim lessons participants during scheduled practice or class times only. 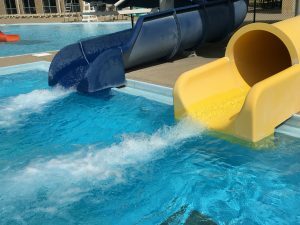 • A swim test may be required before entering the deep water or using the diving board. • Diaper changing on or around the pool deck is prohibited. • No spitting, spouting water or blowing the nose in or around the pool. 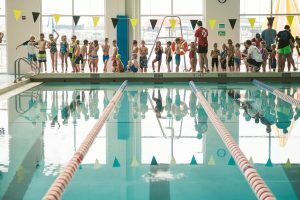 • Lap Swimmers will be required to share lanes and circle swim when needed. • No unsanctioned private lessons, coaching or selling of goods or services is permitted. A printable version of the rules is available HERE.